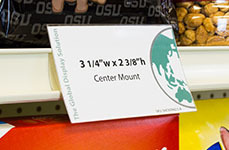 Sign protectors and sign sleeves clip into retail shelf channels to display signs and labels on standard gondola shelving, glass windows, and wire fixtures. 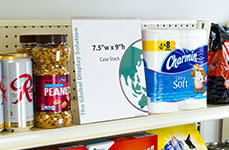 Our "Green" line of sign protectors are made from recycle #1 plastics for an eco-friendly solution for displaying signs in grocery stores and retail stores. Pair Sign grippers with our sign protectors to display signs on a variety of store fixtures such as glass windows, gondola shelving, and freezer/fridge doors. 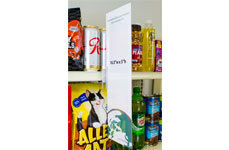 Sign sleeves provide a cost effective and eco-friendly alternative to laminate and tape. Made from recyclable materials.